Long, long ago there lived a very inquisitive little boy who loved his family. He was a sensitive lad and a silly one at that. He loved dirt, trees, butterflies and all bodies of water. Outside, was where he preferred to be, whenever possible. He played sports in school but was distracted by the bugs, birds and butterflies that got in his way while trying to concentrate on the games. His family was known in town for loving the game of baseball and living it night and day. He followed his cousin’s footsteps and became a pretty good pitcher and hitter although not to the degree that his eldest cousin did. The problem was, that this young boy did not feel the passion that he was expected to have for the game. He tried, but baseball was simply, not for him. Where the passion flourished was on the water, with his rod and reel. 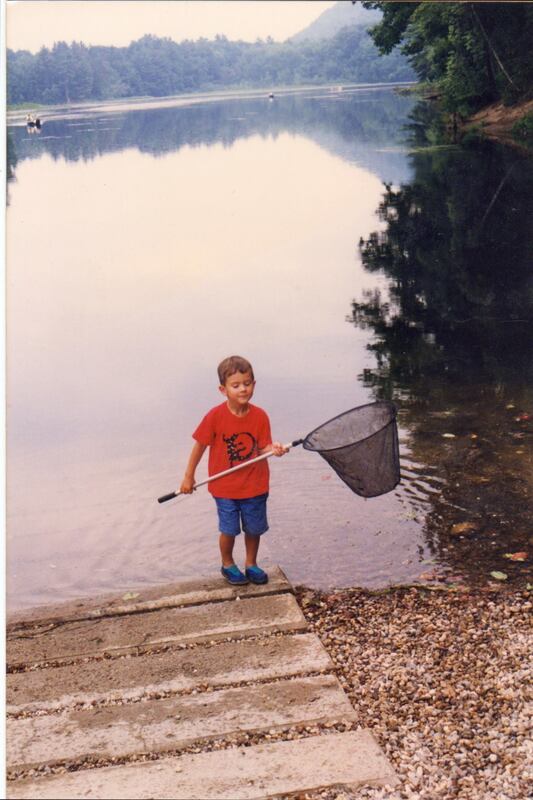 He became an avid angler at a very young age after his father introduced him to the sport. Now, he was old enough that he did not need his dad to take him. He could, not only go by himself, but he had surpassed his father in skill. Fishing became his life. He dreamed about it. He read books, manuals and articles about it. He watched it on TV between his homework assignments and spoke only of fishing. His family became concerned. They were thrilled that their now high school aged son had a drive and a passion for something so pure and innocent, particularly when his peers were experimenting with not so pure activities. But you see, fishing became his all. 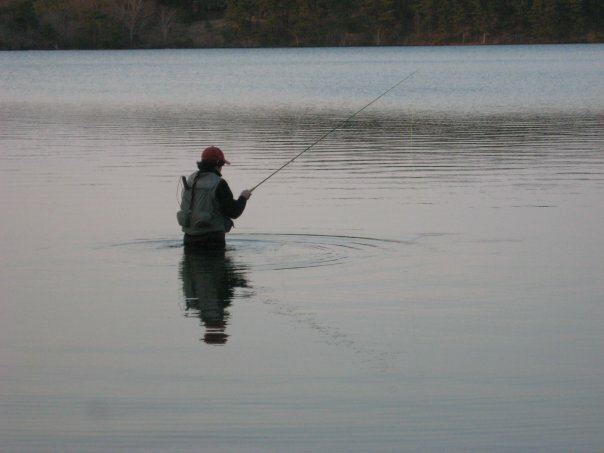 Rather than going out with his friends, he chose fishing. Instead of going on dates, he chose fishing. He chose fishing during the summer, fall, winter and spring. After all, ice fishing had its thrill as well as its chill. On a cold December day, he asked his parents if he could skip school the next day to fish with a friend. His parents, as you can imagine, could not believe he had the nerve to ask for such permission and in a synchronized fashion yelled, NO! Being the smart and clever teen that he was, he convinced his parents that he did not need to go to school the next day because he was finished with his finals and had no classes and 3 study halls. His parents reluctantly caved and allowed him to go. On that now famous and frigid day, while playing hooky from school, this young angler hooked himself a World Record catch. He knew it was special as he tried to reel it in through the ice hole. It was fat and it was heavy. “Holly Crap!” It was the biggest Crappie he had ever seen. 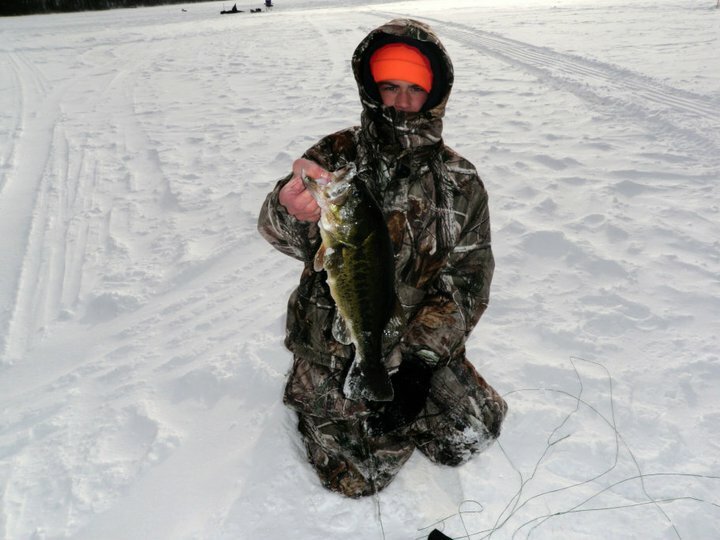 His frozen mouth grinned from ear to ear as he looked at this monster of a fish. 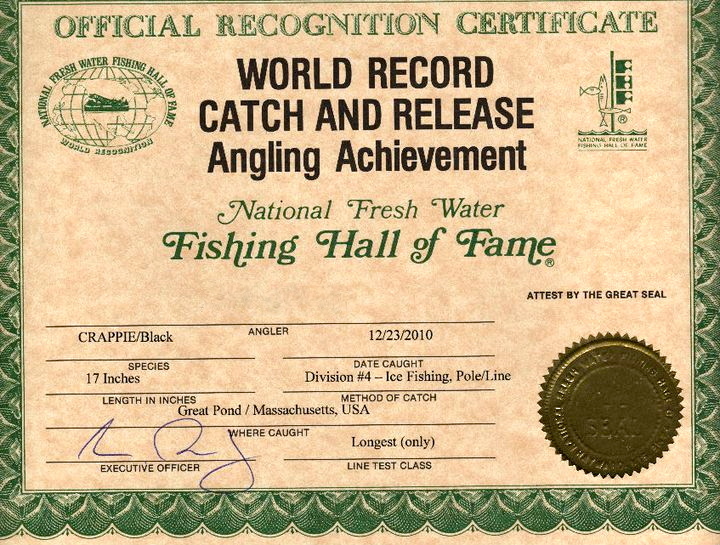 After taking pictures, releasing it back into the frozen waters and getting it verified by an official fish weighing individual, he sent the picture and stats to the Gods at the Fishing Hall of Fame. The official letter arrived weeks after, confirming that he indeed had a world record fish and was now inducted to the Fishing Hall of Fame. This was too much for this young man to handle. That he could score a world record while skipping school, was beyond his wildest dreams. 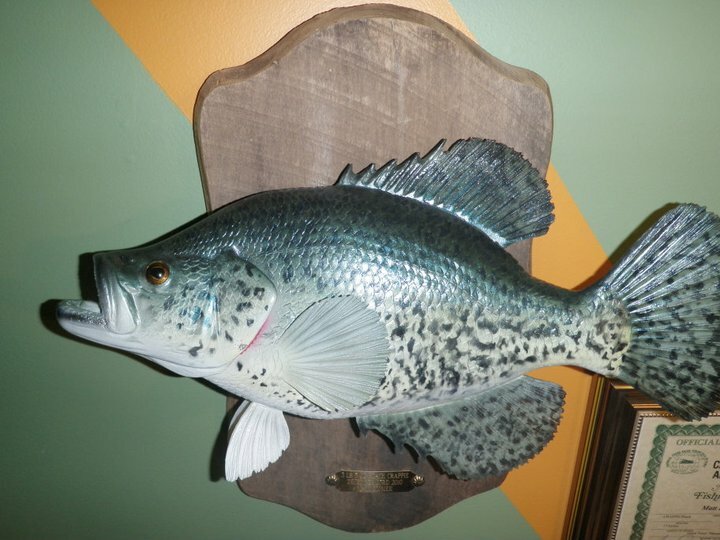 He sent the picture to a place that mounts fish and had a replica mounted for his room. This young record holder’s passion and love for the sport was now magnified and even stronger than before. So strong in fact, that he applied to colleges based mostly on the strength of their fishing teams or clubs. What, say you? Yes, he and his family learned that there are many colleges in the country that have fishing teams/clubs that compete in tournaments for real money for the college and travel all over the country. They fish for Bass in fresh waters. This young man is now in his second year of college. He is well-adjusted, has plenty of friends and will be competing in his first official college tournament this September, in Maryland. This, after paying his dues as a freshman and sitting on the bench dock, for most of the year. So you see, the boy learned a very important lesson that day. Follow your passion no matter what other’s say – even if it means you might have to break the rules. Advising a student who likes to fish? Let them know that going to college doesn’t necessarily mean giving up fishing. 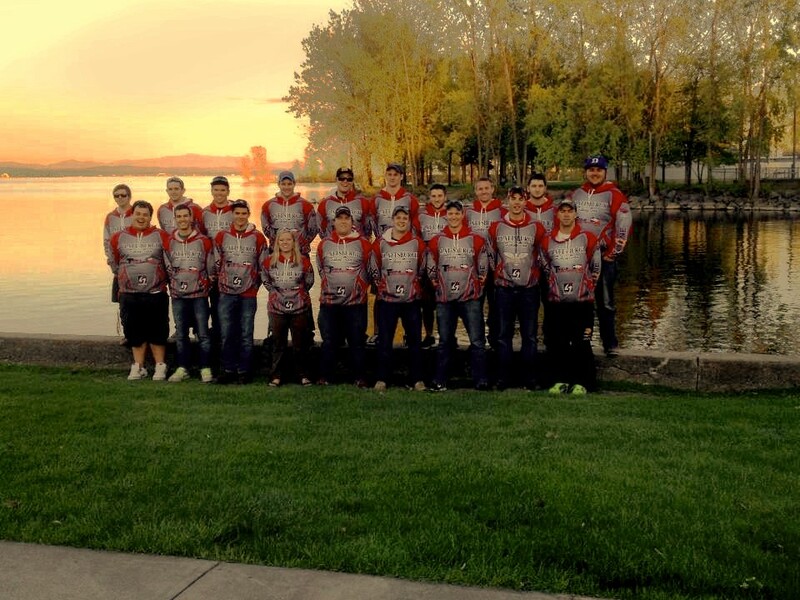 A number of colleges have fishing teams or fishing clubs which compete at the regional and national level. This weekend, Ryan Patterson of Kansas State took home a $100,000 prize in theBass Fishing National Guard FLW College Fishing Championship in South Carolina. I had no idea there were colleges that included the sport of fishing!! And I went to the University of Wisconsin Madison! What a fun story to share when I go back next week! We had no idea either, at first! His college team just came in second out of 40 teams in a tournament in Maryland a couple of weeks ago. And they won $$$$. Who knew? 🙂 Fun party as usual! This is amazing, for many reasons, one of which being that I am the older sister to two fishing OBSESSED younger brothers. We grew up on the ocean, so their spring/summer obsessions tend to involved tuna and mahi as opposed to bass (although my youngest brother is a diehard ice fisherman, too), but its the same love. It makes me feel a little bit more normal about my family to realize they aren’t the only guys out there like this (it was foreign to me — I was a high school sports star and never got why they didn’t want to play team sports). Both of my brothers are now in their late 20s and have managed to turn their love of fishing into a second career. Once they are done with their day jobs, they spend their evenings and weekends being paid to fish as charter captains. Thanks, Guat! We have learned so much from his passion. Mostly about appreciating someone as an individual and encouraging them to follow their path even if it’s not conventional. This was very awesome. I bet he saw the Brad Pitt fishing movie too. I love the fact that it’s not really a “conventional” sport/hobby but that he stuck to and followed his passion and that he had a badass mom to support him too (even when she was concerned a bit). Well done! I can’t believe I missed this post! I love it! Yes, it is pretty cool and different! He ended up writing his college essay about his playing hooky and landing his world record. 🙂 You bet I’ll come knocking on your door it that happens! Awwww… good luck in September! Your post made me cry! I’m so glad you believed in him enough to let him try. And look what happened!!!! You must be so proud of him! My nephew loves to fish too!!! Awesome catch! My fishing successes look more like swollen minnows! LOL! I never realized that there was a real skill to fishing. It’s not about just sitting there letting it happen. An angler needs to consider many aspects such as weather, season, water temperature, cycle of the fish (spawning, etc), depth of water, etc!! Who knew, right? I absolutely loved this post, Maria! Is this boy someone you or your family know? “Follow your passion no matter what other’s say.” ~ Love this!!!!!!! I should have known, it certainly read as a post written straight from the heart. You’ve done a great job raising that one, Maria! I never imagined I would learn so much about fishing. I have actually hooked a live worm on and have caught myself some dinner! Well…not really dinner, but it was something! Almost fainted when I saw my tiny university on there. In hindsight, I’m not entirely surprised. I didn’t even know it was a program here, but I’m not shocked. Fishing is quite popular here. Send him to me. I’ll take him salmon fishing in the rivers. Love it. He would love it, Shelley!